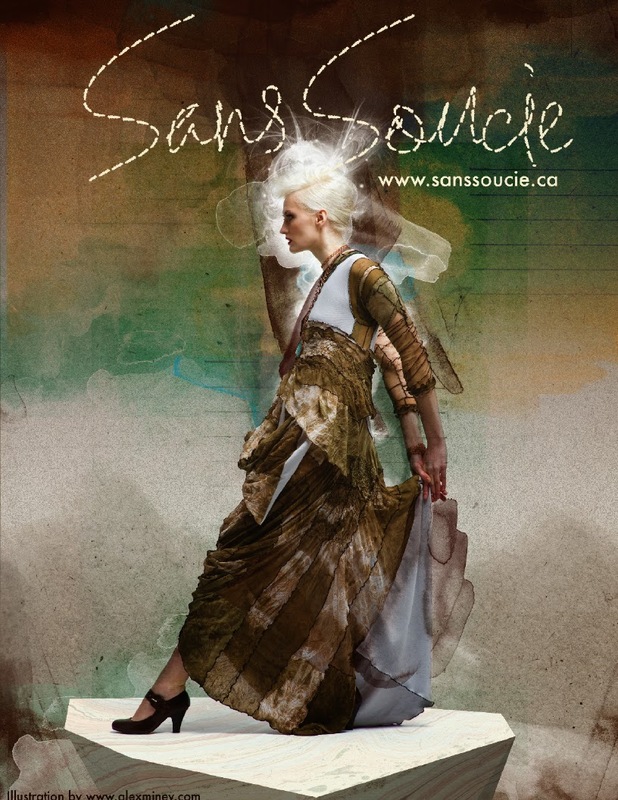 I have known Vancouver textile artist/fashion designer Katherine Soucie of Sans Soucie for such a long time. I met her years ago before I even started writing when my 16 year old daughter was doing some freelance modeling. 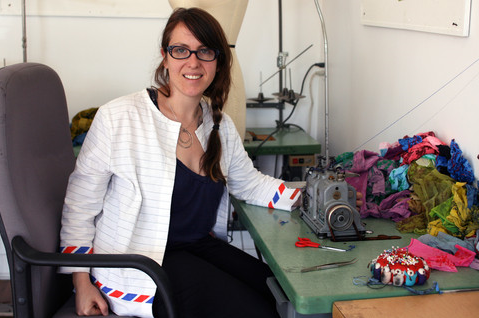 As a life-long sewer, I was instantly fascinated by the unique textile she created using reclaimed nylons. Over time, the opportunity arose to get to know her better and I came to respect her as an educator, an artist, someone intimately aware of the eco consequences of her work, an advocate for the community around her, a mentor and most importantly - a friend. My journey to becoming a writer would have been very different without her influence. Soucie was my second interview ever and over the years I have had the privilege to interview her several times. There will hopefully be many more opportunities in the future as every interview is a journey of discovery. She is always pushing herself to grow as an artist - never static, ever looking to explore new directions and interesting collaborations - and is a life-long learner who is always seeking out educational opportunities. There is always a something new and exciting on the horizon. There are a couple reasons I chose to include Soucie in this book, but the biggest overall is the wisdom she brings when talking about both the future of the fashion industry and the consumer - words that offer a shift in production methods and empower individuals to redefine their personal relationship with clothing. For this excerpt I decided to share a look into this artist's early years and how she embraced fashion from a young age. Enjoy! ...By the age of five, Soucie was completely in charge of her wardrobe. At the age of eight—the 1980s—the future designer began to be more expressive in the way she dressed. There was always that pile of fashion magazines ready to open a window on what was happening in the world at large, but her sisters’ hand-me-down garments offered their own spark of inspiration.